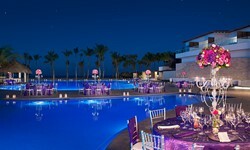 Dreams Dominicus La Romana - Wedding Venue and Packages | The Future Mrs. Stunning ceremony. Lively cocktail hour. Private dinner reception. 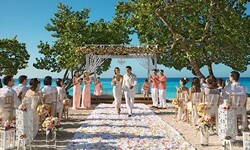 Dreams Dominicus La Romana wedding packages provide all the elements of the picture perfect event along with special touches that will pamper you beyond the wedding day. 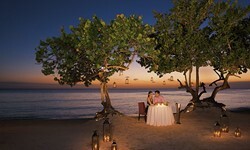 Dreams Dominicus La Romana avoids the cookie-cutter wedding. Our on-site coordinators encourage you to send images from wedding blogs, magazines, even your Pinterest board, and we'll help turn your vision into reality. Explore our wedding resources to help you plan your dream destination wedding. The all-new Dreams Dominicus La Romana is set beachfront in Bayahibe - an ideal location to explore the region, or to just enjoy some rest and relaxation in the Dominican Republic. Lounge by one of the three pristine swimming pools or retreat to the expansive spa with peaceful treatment spaces, gardens, and hydrotherapy areas. The top championship golf courses in the Caribbean are just minutes away as well as the most popular excursion in the country – Saona Island. It will be a vacation to never forget for kids and teens with the adventures, games, and social activities at the supervised Explorer’s Club and Core Zone. There’s something for everyone at Dreams Dominicus, and best of all, it is all included with Unlimited-Luxury®.